For many nonprofits, the idea of asking directors to sign contracts that set out the terms of their directorship may seem like an excessive formality. But quite often a contract can serve useful purposes for both the director and the nonprofit. In fact, far from being an “over-lawyered” step, a director contract may save time, avoid unnecessary conflicts, and provide clear guidelines for resolving important problems should they arise. Roles and responsibilities. At the core of a director contract is a clear explanation of the obligations a director will have toward the organization, other directors, and the nonprofit’s constituents. Particular jobs that the director will be expected to do, like public speaking, fundraising work, and financial oversight, can be described to ensure that the director knows what the job involves. Likewise, the nonprofit’s obligations toward the director can also be defined. For example, an obligation to provide the director with regular financial reports can set a clear standard for employees. Attendance. If a director doesn’t feel bound to attend most meetings, the board may have trouble achieving a quorum and will struggle to reach unanimity on important topics. A contract can provide for a commitment to attending a certain number of meetings each year, reducing the likelihood of absenteeism. Notice. If the director needs to resign from the board it can be helpful to have a notice provision that will allow the organization time to find a replacement. Confidentiality. In some cases a nonprofit will want to protect information that it deems to have special value. Although a director has a fiduciary responsibility to maintain the confidentiality of such information, it can help the director comply to have this obligation spelled out in clear terms. 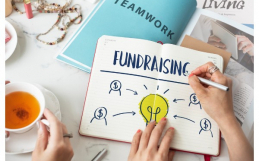 Whether a nonprofit’s board should be asked to enter into contracts with the organization is a question that every board will need to examine in light of their organization’s unique circumstances. As a general rule, the more that is at stake, the more important it is that directors be bound by agreements. The Church Law Center of California can help religious and secular nonprofits examine these questions to find the solutions that best fit their situations. Call us today at (949) 689-0437 or reach out to us through our contact page.